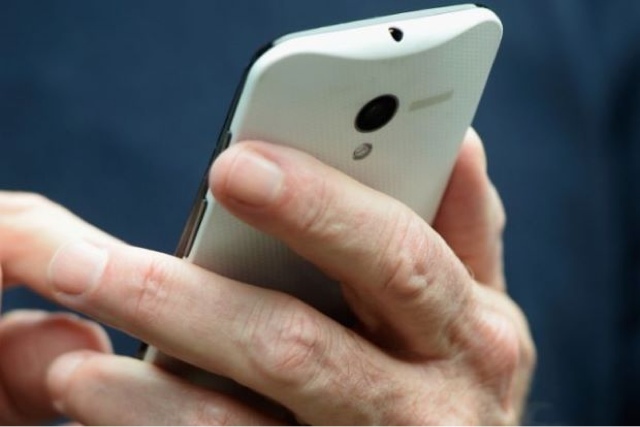 If you are traveling to foreign lands on your own, the mobile app called Google Translate would come handy and it could prove to be the little app that save the day. Especially true with some languages like Chinese, Japanese, and Korean; it becomes trickier because you might not know how to enter those foreign characters into your device for Google Translate. Once enabled, you can instantly perform translations offline. While the smaller size of the offline models has more limitations than their online equivalents, on the latest update of the app, you can now carry the world’s languages right in your pocket anywhere you go. Just select the [Offline Languages] setting in the app menu, then download offline language packs for whichever languages you will need for your next trip away from home. Simply pull out Google Translate, change the setting to Conversation mode, and speak into your phone. The app will read the translation out loud. You’ll be chatting away with your interlocutor in no time. When you don’t know how to say what you want translated, and you don't know how to type it, just to write it. Use the Handwriting Icon and draw in the black space. APAC languages supported: Chinese, Japanese, Korean, Indonesian, Malay, Filipino, Vietnamese. When everything else fails, try the app's camera-input support for Chinese, Japanese, and Korean. 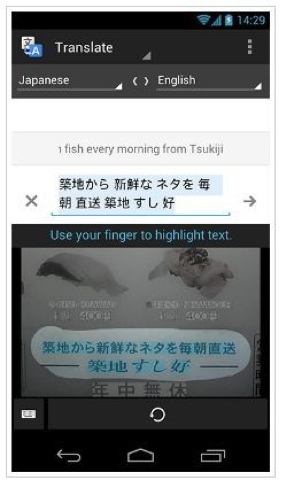 Just tap the camera icon, snap a picture of the text, and brush your finger over the part you want translated. 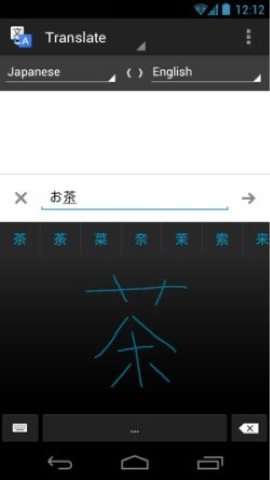 It also works for vertical text for Chinese, Japanese, and Korean. Brush your finger over the text you want translated. Save commonly used phrases into Favorites in your Translate app, simply click the star by the top of the translated text to save the translation in your Favorites for easy access next time.